The New York Islanders have traded defenceman Travis Hamonic to the Calgary Flames in exchange for a first round pick in the 2018 NHL Entry Draft, a second round pick in the 2018 NHL Entry Draft and a second round pick in the 2019 or 2020 NHL Entry Draft. The Flames also received a fourth round pick in the 2019 or 2020 NHL Entry Draft. The 27-year-old had 14 points in 49 games with the Islanders this season, including three goals and 11 assists. He also registered 108 blocked shots, averaging 2.2 per game. He also averaged 20:27 of ice time per game and has three years remaining on his current seven-year contract, which carries an average annual value of $3.86 million. Hamonic joins a Calgary defence that includes the likes of Dougie Hamilton, TJ Brodie and Mark Giordano. He should be a good fit and the Flames have been eyeing him for a while, with general manager Brad Treliving suggesting that he could see time with Brodie right out of the box. Hamonic is, without question, a top four guy for Calgary. The Islanders drafted Hamonic in the second round of the 2008 NHL Entry Draft and he’s enjoyed a successful career with the club, but he also requested a trade out West in 2015-2016. After New York won a playoff round for the first time since the early 1990s, he rescinded the trade request. 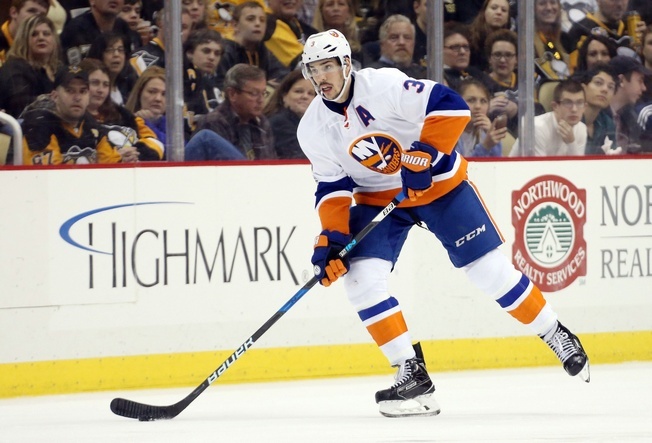 Hamonic has 146 points in 444 career regular season games, plus four points in 17 Stanley Cup Playoff games.